To wash your quilt, you will first want to treat any stains. This is best done with “Grandma’s Secret Spot Remover”, but can also be done with Ivory dish soap. Just take a small amount of Ivory Dish Soap, mix it with equal parts of water, let this sit for several minutes, and then rub gently into the spot. You can now wash the quilt in the washing machine. Be sure to use the gentle cycle on your machine along with laundry soap for delicates. Always use cold water and a “Color Catcher” sheet. This will keep colors from running and fabric from shrinking. Do not use bleach, or any laundry soap containing bleach. The perfect way to dry a quilt is to lay it flat so that the weight of the quilt doesn’t pull out any stitches. But, you can dry it in a dryer, using a low heat setting. Use your quilt and enjoy it! If you have to store it for a while, the best way is not in a box, plastic bag or storage trunk. Flat on a bed is good or in a ventilated linen closet. Wrap in acid free tissue paper or keep in a clean cotton pillow case. Every 2 or 3 months take the quilt out, let it air for a few hours, refold a different way (or roll) and replace in a fresh pillow case. With either wrapping, keep the top of the quilt to the inside. 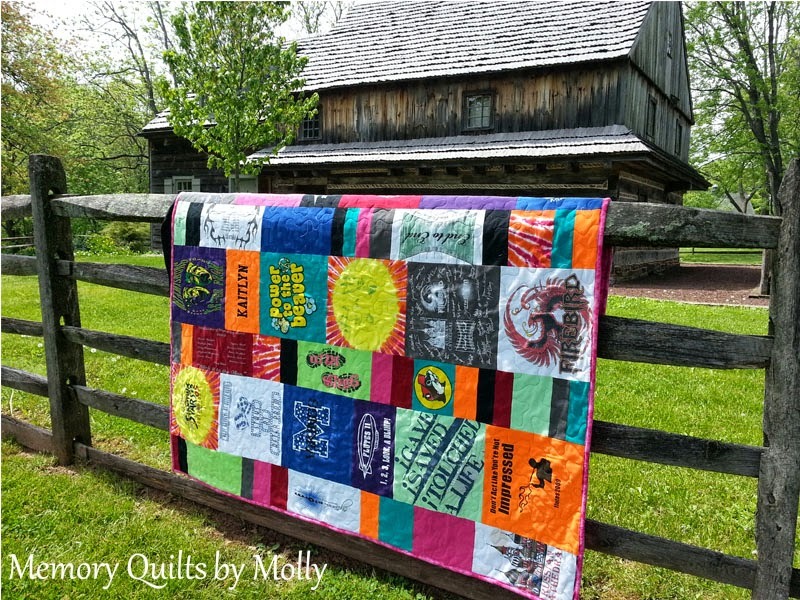 These tips will keep your quilt beautiful for many years to come. Note: Grandma’s Spot Remover is available at most fabric stores, A.C. Moore and some auto parts stores. Color Catcher sheets are in the laundry section of Wal-Mart or grocery stores.